New York City is one of the largest and most populated cities in the entire world, largely because it contains five regions, or boroughs. All five of the boroughs we have today – Manhattan, Queens, Brooklyn, the Bronx, and Staten Island – had different governments until they were combined under New York City during a consolidation effort in 1898, but the Bronx did not have its own county until it separated from New York County in 1914. The term “five boroughs” is often used by politicians to put each of the boroughs on an equal status, as Manhattan was previously given more status than the other regions. Each borough is considered a county, and each has a borough hall and Borough President, though the Borough President is today now has few executive powers and is treated as more of a ceremonial position. When people think of New York City, Manhattan is typically the first borough that comes to mind. Though it is geographically the smallest of the five boroughs, Manhattan is the most densely populated county in all of the United States, with over 1.6 million people who call Manhattan or New York, New York home. It is also the home of hundreds of major tourist attractions, including Times Square, Broadway, Rockefeller Center, the Metropolitan Opera, and Central Park. Manhattan is also home to a wealth of culture, including dozens of museums such as the Museum of Natural History, the Museum of Modern Art, and the Metropolitan Museum of Art. There is truly something for everyone in the Big Apple. Queens is the largest and second most populated of all of the boroughs, with over 2.2 million residents, as well as thousands coming in and out of the county through two of the busiest airports in the world – John F. Kennedy International Airport and LaGuardia Airport. The county is truly a melting pot, as it is the most ethnically diverse urban area in the entire world. Nearly half of all Queens residents are foreign-born, and they represent over 100 different countries. The New York Mets also hail from Queens, where they play at Citi Field in Flushing Meadows-Corona Park. Brooklyn is the most populated of the five boroughs, with just over 2.5 million residents, and it continues to grow. For over one hundred years, Brooklyn has occupied the same boundaries as Kings County. Unlike the other boroughs, Brooklyn has maintained its ethnic enclaves with Jewish, Puerto Rican, Greek, Italian, Russian, and Ukrainian neighborhoods, which all celebrate their culture with delicious eateries and shops. The Bronx is the second smallest borough in New York, occupying only 42 square miles, but with a lower population than Manhattan. Culturally, the Bronx is known for its rich history of Puerto Rican, Dominican and Jamaican residents. Many tourists come to the Bronx to see hundreds of different kinds of animals at the Bronx Zoo, as well as to witness the spectacular flora of the New York Botanical Garden. This borough is also home to the Yankees, also known as the Bronx Bombers, as Yankee Stadium can be found in the South Bronx. 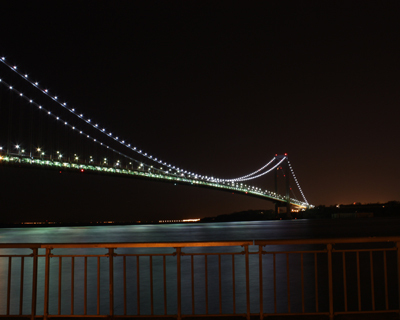 The least populated of the boroughs, only about 470,000 people call Staten Island home. The island is only 58 square miles, and occupies the same boundaries as Richmond County. The Staten Island Ferry is a popular activity for tourists who are looking to take a free ferry ride to and from Staten Island that provides great views of the Statue of Liberty, Ellis Island, and Lower Manhattan.